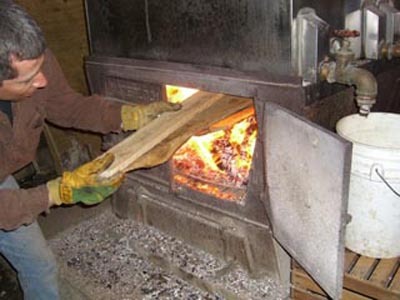 The Geauga Maple Co.'s maple woods are located in Geauga (pronounced gee-awe-gah) County in Northeast Ohio’s Western Reserve. The County’s rolling farmland is dotted with Maple woods, many of which are still working Maple Sugarbushes. 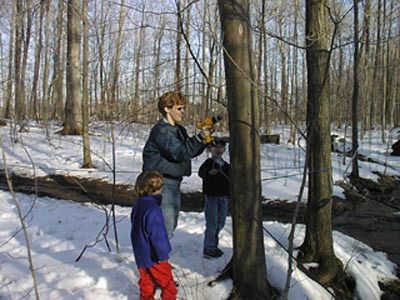 Our Maple woods have been carefully maintained for over a century to share its sweet taste of nature. Geauga county is a beautiful place, full of wildflowers and wildlife, promising sunrises and tranquil sunsets. 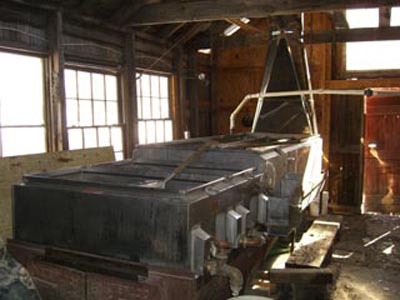 We appreciate this beauty and are thankful that generations before us have given us their knowledge of Maple Sugaring. Let us share this delightful taste of nature with you. Grade A Light Amber has a “delicate” Maple flavor. 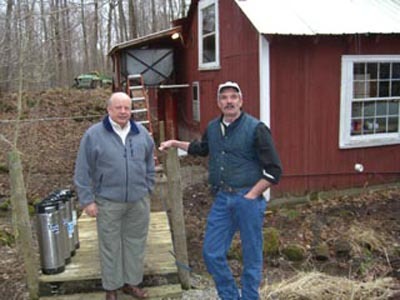 Called by many “Fancy” or “First Run” syrup. This pale golden product is considered the finest. 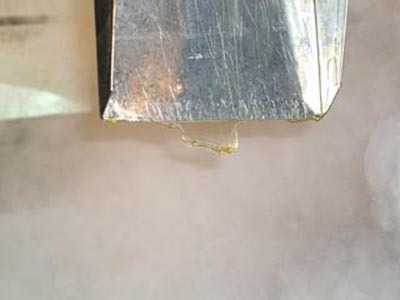 It is ideal for making candy, but often is considered too delicate a flavor for pancakes. Grade A Medium Amber has more maple flavor than the light. It has a wonderful taste and is considered to be the “standard” table syrup. Grade A Dark Amber has a “robust” Maple flavor. This dark golden syrup is perfect for baking. We have noticed that people from the South often prefer its “hearty” taste. *Orders will be filled with Grade A medium Amber unless specified otherwise. Pure Maple Syrup that we package for sale under our private label has passed the strictest test for quality; that is, our personal taste test. We will not place our name on a product that we would not personally serve at our own table. We guarantee a superior maple syrup of each grade available. 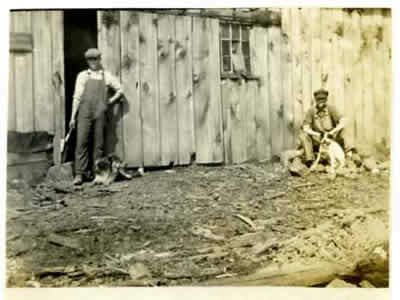 In front of the sugar house, Jeff with cousin Bill "Gus" Shackson. Jeff and Bill tapping the trees. Laurie, Tanner, and Loghan helping their cousin. 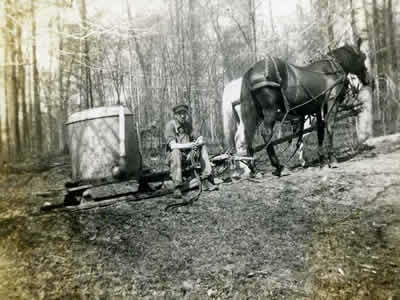 Chuck, with Molly's help, checks and repairs the sap lines. 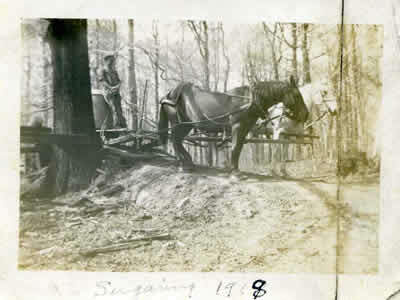 "Gus" selecting wood from the pile. Some things never change. 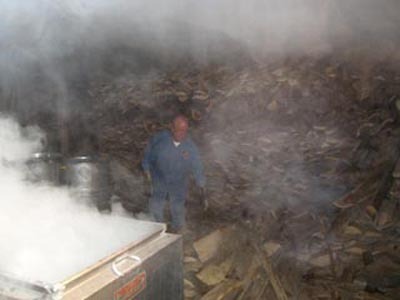 After 170 years, we still fire with wood. In the finishing pan, Chuck carefully checks the temperature. 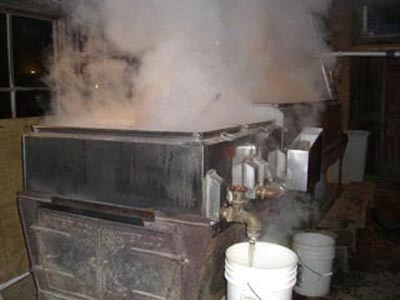 Syrup boils at 219°F. 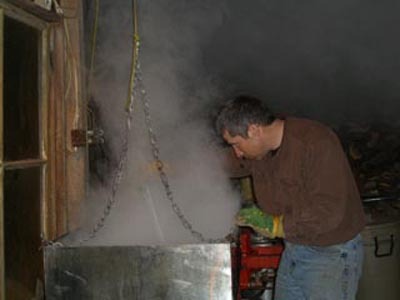 An old method of checking the density of the sap, when it hangs in sheets from the scoop you know you are close to syrup. 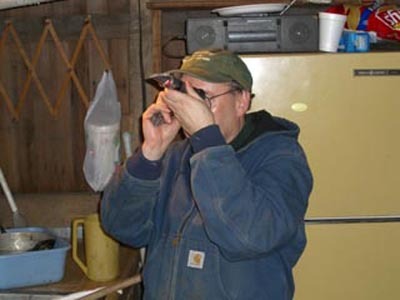 Ken using a refractometer to check the density of the syrup. Winter - and time for “sugar on snow”, maple on oatmeal, warm maple topping over ice cream sundaes. We envision kitchens across the country bustling with families gathering for blueberry pancakes cascaded with mouth-watering maple syrup - a great way to warm up and begin the day. 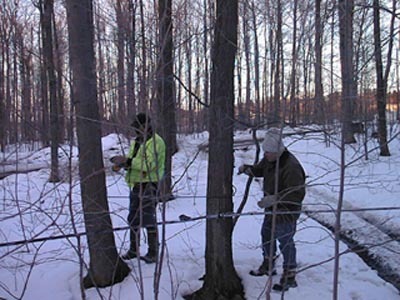 The woods will have over 2,500 maple taps this coming year, protecting and preserving another 150 acres. Our mission to preserve the environment around us continues with the support of friends and customers like you. We welcome your suggestions and remain dedicated to serving you. Let us know how we can help fill your personal or corporate gifting needs. Thank you for your order. We appreciate your business and continued support.